In the first article of this series, I shared my steps for training your dog to walk on a loose leash and stop pulling once and for all. For some reason, whenever I discuss these training steps with my students, they always want more information. They want more details—almost like they’re looking for that secret piece of the puzzle that will magically transform their pets into perfect walking dogs. However, the sad truth is that there’s no such thing. Nothing replaces hard work, and if you want a dog that walks on a loose leash, then you will have to take the time to train your dog. I will admit that most people don’t find this proposition attractive. They think to themselves, You mean I have to train my dog? That’s way too much work! Yes, that is exactly what I’m asking, but you don’t have to take any extra time out of your day. All you have to do is replace the time you’re already taking to walk your dog and replace it with the time you use to train your dog. Simple, right? I wish all dog owners did this with their dogs. Unfortunately, even after I’ve laid out my logical case, most people still won’t take the time to train their dogs to walk on a loose leash. It requires effort, dedication, and energy. So in this article, I’m going to share with you five good reasons you should train your dog to walk on a loose leash (and to stop pulling). 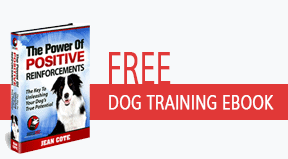 These reasons are meant to energize and motivate you to take action and begin training your dog. Reason 1—The longer you wait, the more your dog will pull on the leash. It’s no secret that many dog owners will tolerate their dogs’ habit of pulling them. Many think it’s a normal part of owning a dog, whereas others simply don’t know what to do or how to solve the problem. Either way, the longer a dog gets away with pulling on the leash, the harder it’s going to be to curb this habit, which is caused by self-rewarding behaviors—which is explained in detail in the first article of this series. This is why training a puppy is so much easier than training a full-grown dog. A puppy has not yet developed the bad habits of walking ahead and pulling on the leash. You can get a puppy to walk nicely beside you in just a few training sessions. Now, that’s not to say you can’t train an older dog who has been pulling for months or even years. You definitely can do it. However, it will be more challenging because you will need to replace the old habits of walking ahead and pulling with new ones such as walking by your side and paying attention to you. Reason 2—Pulling is a serious safety issue. Walking a dog that constantly pulls on the leash is not a pleasant experience, and in some cases, the dog pulls so hard that it causes physical pain in the owner’s hand, wrist, arm, or shoulder. I recently had a student enroll in my Walk in Harmony Game Plan who had had an incident with her dog and needed surgery on her shoulder. She was walking her dog when, all of a sudden, her dog saw a squirrel and decided to run after it, putting massive strain on her shoulder. Another student of mine suffered from a broken wrist because her dog was pulling on its leash during a winter snowstorm. She didn’t realize that her dog was pulling her toward an icy patch, and she ended up slipping and having to go to the hospital. I even had another student tell me a story about when she almost got hit by a car because her dog decided to pull her toward a busy intersection. She was walking a big German shepherd, and had she not dropped to the ground to make her dog carry all of her weight, both she and her dog would have been hit by a car. Now, these cases might seem extreme, but they are real stories from ordinary dog owners who never took the time to train their dogs to walk on a loose leash. They were just too busy with life, and their dogs’ tendency to pull them wasn’t a big enough problem. My advice is to not wait until it’s too late before doing something about your dog’s pulling behavior. I know that prevention isn’t easy, but if it can prevent an injury, it’s time well spent, in my opinion. Reason 3—Pulling on the leash often leads to less exercise. Did you know that humans will do more to avoid pain than they will do to gain pleasure? This simple fact is also at play for dog owners training their dogs to walk. For example, if your dog is constantly pulling and dragging you around the block, you will experience physical discomfort from a sore hand, wrist, arm, or shoulder. On top of that, there’s also the emotional pain of what others will think of you. Often, people will make the assumption that you’re a bad dog owner simply because your dog is pulling you on the leash. Of course, her neighbor was just trying to be funny and didn’t intend for those comments to be hurtful. But sometimes what others say can influence us more than we realize, and we can easily associate physical and emotional pain with walking our dogs, which leads us to unconsciously walk them for shorter distances and less frequently. Another student of mine presents a perfect case of this. She was so ashamed of what other people thought of her while she walked her dog that she would only walk her dog late at night or early in the morning when it was still dark so that nobody could see her getting dragged down the road. The overall problem is that dogs need lots of daily exercise to release their excess energy, and if you end up walking your dog for shorter distances and less frequently, it will be getting less exercise. If your dog doesn’t have an outlet for excess energy, it will find another way to get rid of it, even if that means doing destructive things such as barking, digging, and chewing. My sister had this exact problem with her dog a few years ago. Her dog was constantly chewing shoes and furniture. All of that stopped when she started walking her dog for an hour twice per day—her dog simply wasn’t getting enough exercise. Reason 4—Be able to go anywhere with your dog. Wouldn’t it be great if you could go anywhere with your dog? This is why I’m so passionate about loose leash training. I want dog owners to be able to go to the park, attend public events, hike, jog, or even take a trip to their local pet store with their dogs. Why should anyone be restricted to just going around the block? Not only are longer walks beneficial to your dog’s health and well-being, but they’re also great for getting rid of stress. So many of my students live hectic lives with busy schedules, and they tend to be exhausted when they come home at night. The problem is that walking their dogs becomes a chore rather than a way to relax and be out in nature with their dogs. That’s why taking the time to train your dog to walk on a loose leash is so important. Once you’ve trained your dog, you can go wherever you want, whenever you want. Walks are no longer stressful situations. Reason 5—Training transforms your dog into a happier, better-behaved family pet. When I ask my students why they decided to get dogs, they usually tell me it’s because they thought getting a dog would bring happiness to their lives, that their dogs would cheer them up when they felt alone or sad, or that having a dog would give them a reason to get out of the house. But these reasons somehow get forgotten over time, and the struggles of owning a dog become the main focus. I’ll admit that it’s important to address any behavioral problems that come up with your dog; however, it’s just as important to remember why you’re doing all of this in the first place. Focusing on the problem doesn’t solve it. Focusing on the solution does. What will motivate you to seek the solution is the vision of why you wanted to get your dog in the first place: the moments you imagined sharing with your dog and the positive things you thought it would bring to your life. If you can get through the tough times, even when it seems like there’s no hope for you or your dog, your relationship will grow stronger. It’s kind of like a couple getting through a rough time. Maybe it’s someone getting laid off at work or a death in the family. It’s extremely difficult during those times; however, once they’ve passed, the couple can look back on them and smile because those events made them stronger. 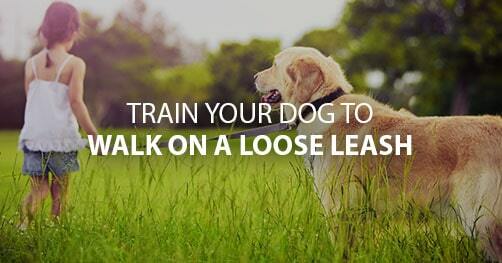 The same is true with training your dog to walk on a loose leash. It may seem hopeless right now, but it can be the time when you learn how to properly train your dog by using positive reinforcement. If you take the time to master these training techniques now, you’ll not only get a dog that walks on a loose leash but also one that wants to please you in the future. Because the training methods I share in my Walk in Harmony Game Plan are widely applicable, you can use them to get your dog to do almost anything. 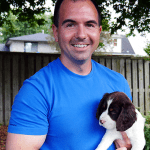 Many of my students continue to train their dogs beyond the scope of the program. They’ll use what they learned to teach their dogs to do tricks and all sorts of other neat stuff. In the final part on this series on training your dog to walk on a loose leash, I’m going to share some real-life success stories of how my students used my Walk in Harmony Game Plan to get their dogs to walk on a loose leash and how you can do it too. Stay tuned. Hey, just wanted to say I enjoy reading your training instructions. I currently have dogs that are already trained and well behaved but you can never know to much. Plus I want to be ready when I get the next puppy.